2017 was a wild year. Donald Trump was sworn in as the president of the United States, Hugh Hefner passed away, and net neutrality saw its end. Through all of this, I got an insane amount of new tech this year and pretty much replaced all my previous major gadgets, which were showing their age. I felt that rather than writing full reviews for each device, I’ll give a quick summary of my experiences with them. Originally, I was a stock Android fanboy who couldn’t stand the thought of any bloatware or delayed updates on my phone. However, after all the issues that the Pixel 2 XL faced, I canceled my order and got a Samsung Galaxy S8 for just $250 (thanks Best Buy!) From the moment I got it, I was blown away. The screen is the best I’ve ever seen on a smartphone, the camera is phenomenal unless I’m using Snapchat, and the software isn’t nearly as bad as people online say it is, except for Bixby. I disabled Bixby so that it only activates the assistant when I long press its dedicated button. Samsung also adds some very nice features that Pixel phones should’ve have, such as a theme store, Wi-Fi calling for all carriers (which will definitely come in handy at my summer job, which has no reception), and actual quality assurance. My only real complaints are the lag experienced very soon after getting the phone and the mediocre battery life. This definitely makes me wish I bought the S8 Plus. Surprisingly, I use this phone quite well with one hand and even reach the fingerprint scanner with ease; I doubt I would’ve had much trouble with its big brother. Even with my criticisms, I stand by my opinion that Samsung’s 2017 flagships are the best phones of the year. However, just weeks before my surprisingly great 1 year warranty expired, the middle button on the headphones became ridiculously sensitive. It’s a bigger issue than it may seem; the headphones factory reset when the middle button is held down for about 10 seconds. They constantly reset while they were in my pocket, meaning that I’d have to re-pair them to my phone or laptop any time I wanted to use them. Thankfully, Jaybird has incredible support and sent me new headphone with almost no fuss. Now that I’ve received them, I’m back to Jaybird. Other than that one issue, the only complaint I can think of is the meager 4 hours of battery life. Thankfully, I don’t use my headphones for more than 4 hours a day, but this is still very inconvenient for users who don’t want to be forced to charge their headphones every day. After my original Jaybird Freedoms kicked the bucket, I gave this pair a try, expecting to be disappointed. These are probably the best “included in the box” headphones you’ll ever see. They have above average sound quality and even have a braided cable. 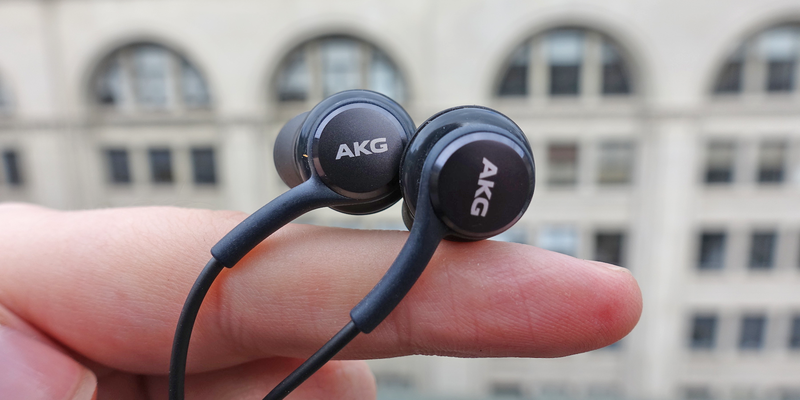 If you’re thinking about buying headphones with your next Samsung flagship (I presume the S9 will also come with these), I’d try these out first before purchasing a set of headphones to complement your new smartphone. As for which headphones I prefer, I’d definitely say the Jaybird Freedoms, but these are definitely no slouch. I now carry these around as a backup in case my Freedoms die. I love these things. At first, I wasn’t even sure that they had any use outside of a smart home (which I don’t have), but for $35 for the two of them, I can’t complain. They work really well, though there are a few quirks that I hope will be addressed in the future. The one that initially bothered me most was asking for the temperature. It tells me that it wasn’t set up, thinking I wanted the temperature in the house. If you don’t have a smart thermostat, it really should just give you the temperature outside. Conveniently, there’s a nice workaround to this by using a shortcut, but the average user will likely not know about this or completely understand it. Now that I’ve gotten that problem worked out, I of course have to deal with yet another issue. For some reason, when I ask Google Assistant about my calendar, which I use Google Calendar for, it keeps telling me I have no events, even though I clearly do. I haven’t solved this one yet, but I’ll be on the lookout for any shortcuts for it. Other than these pretty minor complaints, they’ve been a joy to use to ask quick questions, play music, and have a bit of fun with. Even the sound quality was good for a $50 speaker. Just to get this out of the way, I got the fully speced out model with the exception of the storage (7th Gen Dual Core i7, 16 GB RAM, 512 GB SSD.) To put this one simply, what you heard in all those positive reviews about this are completely true. This is a nearly perfect laptop for most people at an affordable price when compared to the competition. 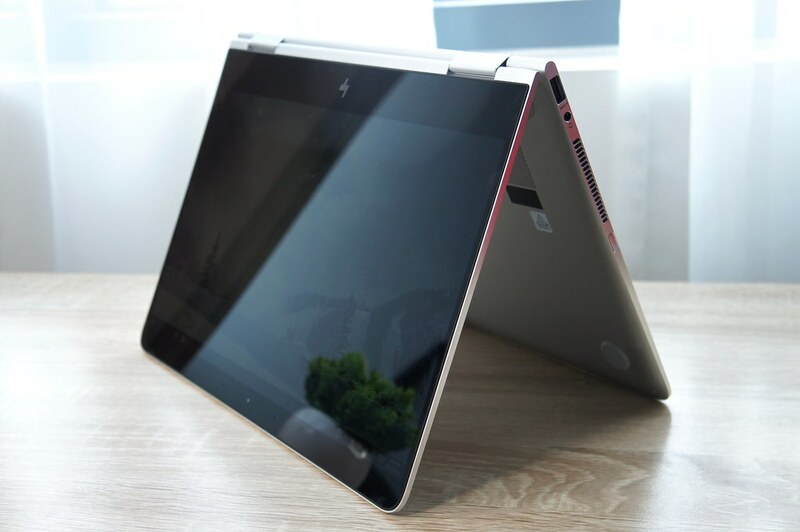 I absolutely adored the screen, keyboard, performance, speakers, ports, build quality, and design. Before I go on with my three criticisms and issues about this nearly perfect laptop, just know that I am typing this article on this laptop that I consider to be the best computer I’ve ever gotten. My first complaint about this beauty is that the trackpad definitely needs some improvements. The trackpad it’s too wide and I would be prefer a more standard shape. I find it to be accurate and usable, but I still prefer using a certain mouse I bought shortly after getting this laptop. My second complaint is probably the most minor of them all, though still an inconvenience. HP should really put one of the USB-C ports on the other side so that I’m not forced to charge on the right side when my nearest outlet is to the left. If these or similar issues were to never happen again, then I’d almost definitely buy a future Windows laptop without a second thought, likely from HP if they continue what they’ve been doing. I’ll keep this one short because there’s really not that much to say about it. After the MX Master 2S came out, I got this for about $65. The precision and 40 day battery life are amazing to have for a mouse at this price point. I’ve also never had any issues with the Bluetooth on it not working. I honestly don’t see how the 2S is worth the extra $35 when you can get a complete and nearly flawless package with the original. This is the only tech product that I’ve gotten this year that I’ve yet to find flaw in. I might have sounded overly negative about these products that I said I loved. I gave my criticisms for them because of how much I love using them. These are some of the best tech products I’ve gotten my entire life. I want to see these products improve so that I can buy the improved versions and love them even more. Firefox Quantum: Is it Better than Chrome?